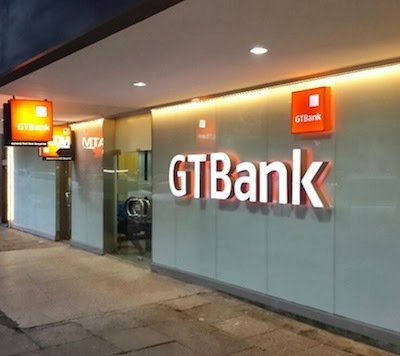 Guaranty Trust Bank Plc has reaffirmed its position as a leading provider of e-payment gateway solutions with the recent launch of its Virtual Prepaid MasterCard. added comfort for security conscious online shoppers who prefer not to use their regular debit/credit cards when making online payments. Accessible: Your Virtual Mastercard can be used wherever MasterCard is accepted online. Instant: The Virtual card is available instantly on request. It’s Flexible: The card can be loaded from your existing Account via Internet Banking. Safe: Your card eliminates the risk and inconvenience of carrying cash and it cannot be stolen. It’s Prepaid: The card is loaded via Internet Banking. Shopping Online: With your card, you no longer have to wait until you travel to shop. You can now do so at many international websites that offer delivery to Nigeria such as ASOS, Amazon, Victoria Secret, River Island, Hawes and Curtis and many more. It’s Virtual: You don’t need to carry it out around to use it for online shopping always available on your Internet Banking. Secure: The card rides on the existing GTBank Internet Banking state-of-the-art secure technology platform. Back-up plan: The Virtual Mastercard is a fall back option for customers who have forgotten or lost their Card, but need to perform urgent online purchase. Its Convertible: The card can be converted to a physical debit card upon your request. In addition to all of the above, if you have an expired, lost or stolen Gtbank ATM Card, this is a fast alternative for you to still make purchases online just like you own a physical one. How do I get the physical card?